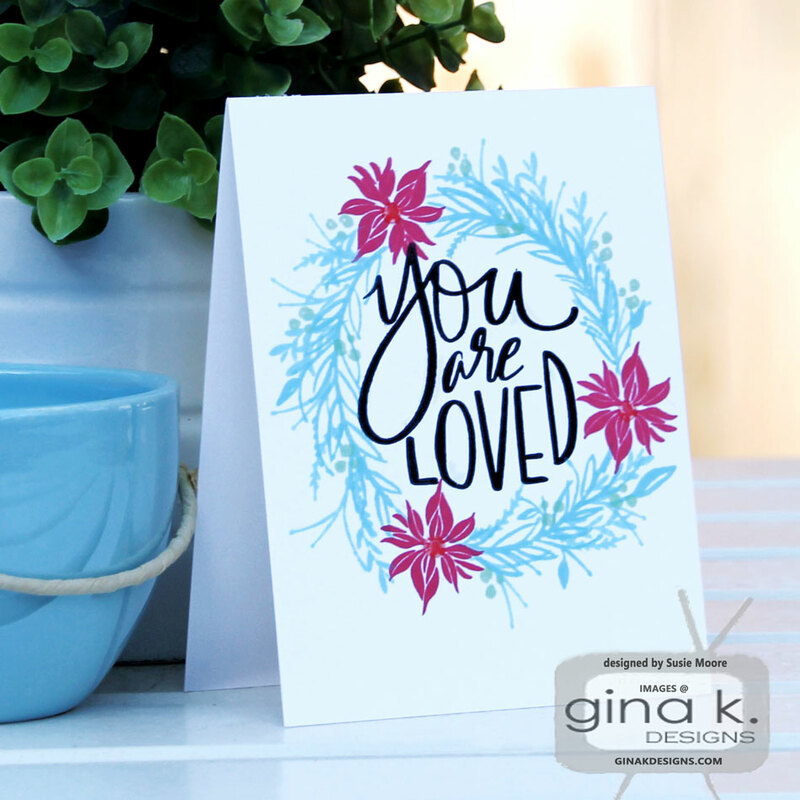 We are on day two of our Gina K. Designs three day blog hop! Tomorrow we will feature the newest StampTV Kit and the newest incentive. But today we are focused on new sets from three very talented ladies: Theresa Momber, Lisa Hetrick and Claire Brennan. Theresa always brings us beautiful framescapes and this new set is well, enchanting! gorgeous water colored interpretations of this set during today's hop. I want to try water coloring, but I am such a chicken! Claire's amazing set, Geo Thanks is another winner. I just can't get enough of this set! I love everything Claire designs. See you tomorrow for day three where we showcase the newest StampTV Kit and also the brand new incentive stamp set. Susie - these are great samples - I love how you used the black base and made the colors come to life in the first card! You know I love CAS cards! These are so very pretty, I really like the hearts; that would make a wonderful valentine's card. 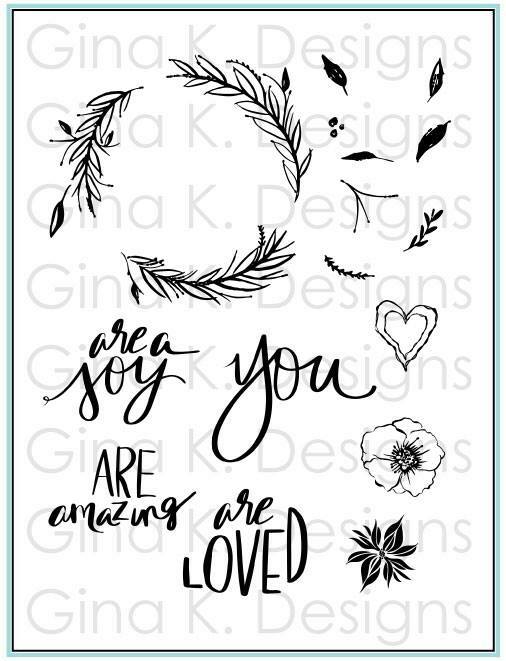 Love your simple designs. They always bring inspiration. The heart card is quite lovely. These are such pretty cards and great for Valentine's Day! I really like this Geo Thanks stamp set. Thanks for sharing with us. love what you've done with the stencil! Beautiful cards. I love the way you colored the background on the first one. Thanks for the inspiration. Thanks for sharing your talent for beautiful cards with us. All the cards are beautiful. They are just wonderful. Your first card with the black base and bright colors is striking. The sillouett effect with the fairy is wonderful. I really liked all three cards but especially the first one. Nice work! A beautiful trio of awesome cards using these wonderful sets. I wish I could have afforded all of them now. Wonderful cards. Love that watercolor background! Great cards. I love the scene you created with that cute little fairy. Love your samples and your work. Gorgeous cards here. 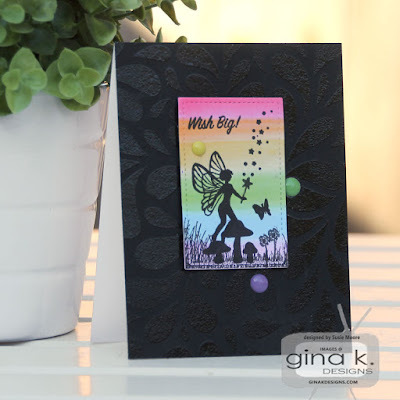 Love the fairy scene on the first card and the background you created on the black paper. I like how you used the red hearts on the third card! Great cards. My fave is the last one with the hearts. All your cards are great but the rainbow fairy is so magical ! More wonderful ideas for me to try out. Thanks for sharing. I'm loving all of the cards everyone has created. Great heart card, Super sweet! 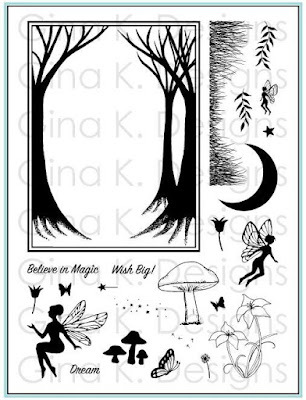 Hearts and fairies and a great sentiment that says it all. TFS! What beautiful cards. The colorful fairy card with the embossed black frame is gorgeous. 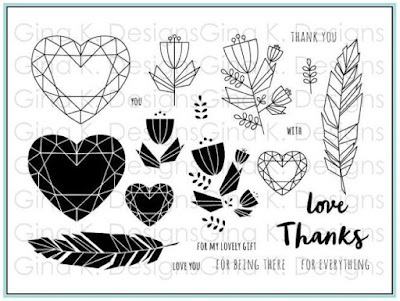 Love the variety and creativity from the black background to the soft you are to the geo hearts card...fabulous. Beautiful cards but Wish Big is my favorite in this group. Thanks for showing us different ideas with your cards. Thanks so much for all the inspiration! Great cards! Thank you for your ideas. Great cards! I love the one with all the red hearts. Such fabulous cars and loving these new images! Awesome cards! I especially love that first one. The black background really showcases the colors in the focal piece. Fabulous Cards Susie! Love them all and your You Are is jumping out at me! ;) Beautiful! I knew I liked the watercolor set but man all these great sample cards just cement it even more. Fabulous and so, so pretty. Gorgeous cards Susie! You always inspire me. Nice job on all of these. Wow, such wonderful cards. Love your designs and the rainbow panel on the black base for your first card is amazing! I think this might be the best release to date! I just love what you did with all the fabulous new sets! I love the rainbow background for the sweet fairy scene and it pops against the black!! All of the cards are excellent, but I love the color combination on the "You are loved" card best. So neat! love the card you made with Lisa's set! Such awesome sets and such pretty cards.